Q: What is ClosureFast™ targeted endovenous therapy? A: The ClosureFast™ procedure is a minimally invasive treatment option that uses radiofrequency (RF) energy to effectively treat patients suffering from varicose veins or chronic venous insufficiency (CVI). 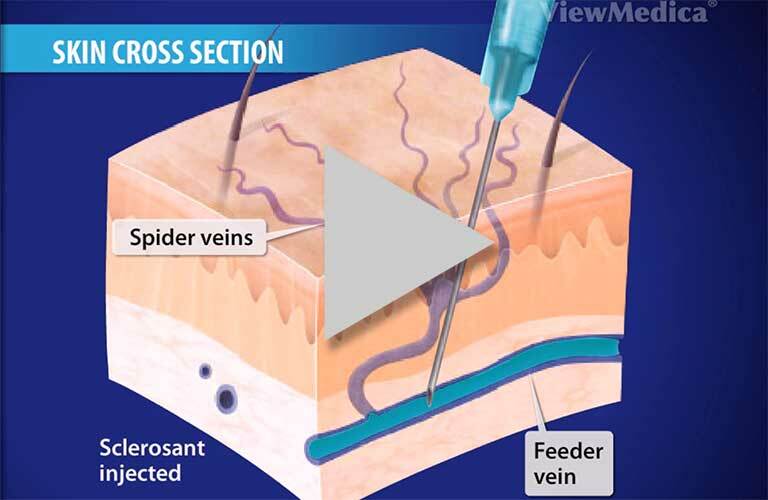 A vein specialist inserts the ClosureFast™ catheter into the diseased vein to provide consistent and uniform heat to contract the collagen in the vein walls, causing them to shrink and seal closed. Once the diseased vein is closed, blood will re-route itself to other healthy veins. Q: What are compression stockings and do I need to wear them? A: Medically prescribed compression stockings apply a predetermined amount of pressure on the veins within the legs. The pressure aids in the collapse of the veins and prevents blood from pooling within them. Your insurance company may require a trial of compression stockings prior to approving other vein treatments. Following a vein procedure, compression stockings can help speed recovery. Q: How is the ClosureFast™ procedure different from vein stripping? Q: How is the ClosureFast™ procedure different from the VNUS Closure procedure? Q: What is fellowship training? A: A fellowship is the highest level of training available to a specialized physician in the U.S. It involves a financial grant for advanced study or training or to allow payment for work on a special project. It provides a stipend, and, in some cases, the miscellaneous expenses involved in the study, training or project (Source: Mosby’s Medical Dictionary). Q: How long does the ClosureFast™ procedure take? A: The ClosureFast™ procedure takes approximately 45-60 minutes, although patients may normally spend 2-3 hours at the medical facility due to normal pre- and post-treatment procedures. Q: Is the radiofrequency ablation procedure painful? A: Most patients report feeling little, if any, pain during the radiofrequency ablation procedure. Your physician will provide you a local or regional anesthetic to numb the treatment area. Q: Does insurance cover vein treatments? A: Generally vein procedures, including radiofrequency ablation, to treat medical vein conditions are covered (in part or full) by most insurance plans. Our team will discuss insurance benefits with you during the consultation. Q: How quickly after treatment can I return to normal activities? A: Patients treated with the radiofrequency ablation (or ClosureFast™ procedure) may resume normal activities more quickly than patients who undergo surgical vein stripping or endovenous laser ablation. With the ClosureFast™ procedure, the average patient typically resumes normal activities within a few days.4 For a few weeks following the treatment, your physician may recommend a regular walking regimen and suggest you refrain from very strenuous activities (heavy lifting, for example) or prolonged periods of standing. Q: How soon after treatment will my symptoms improve? Q: Is there any scarring, bruising or swelling after the ClosureFast™ procedure? Q: What should I expect from a consultation at Vein Nevada? A: The vein consultation usually takes about an hour and includes a comprehensive leg ultrasound performed by an experienced vein technologist. At Vein Nevada, we perform the ultrasound at the time of the consultation in order to understand your anatomy and develop the best treatment plan. Your provider will discuss both the consultation results and a treatment plan with you — with the goal of helping your legs look and feel better again. Q: Is radiofrequency ablation suitable for everyone? A: Only a vein specialist can tell you if a specific vein treatment is the right option for your vein problem. 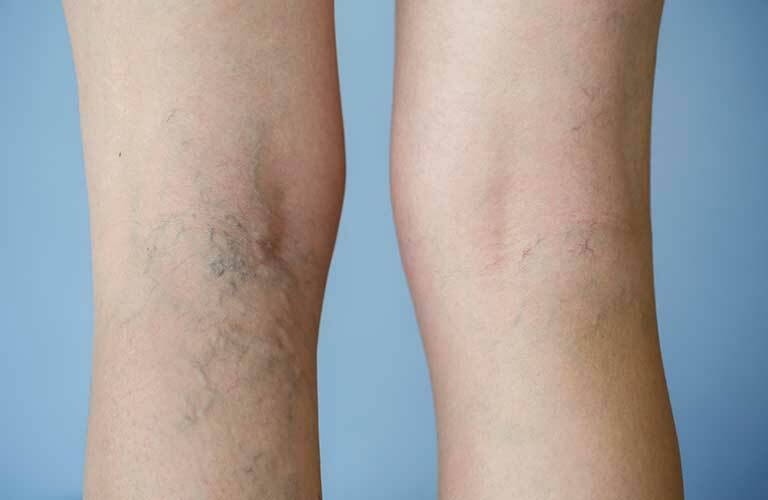 Experience has shown that many patients with varicose veins or CVI can be treated with minimally invasive treatments such as radiofrequency ablation or ClosureFast™. Q: How effective is the ClosureFast™ procedure? A: The ClosureFast™ procedure has been shown in a large international, multi-center study to be 93% effective over three years. 3. Almeida JI, Kaufman J, Göckeritz O, et al. Radiofrequency endovenous ClosureFast versus laser ablation for the treatment of great saphenous reflux: a multicenter, single-blinded, randomized study (RECOVERY Study). J Vasc Interv Radiol. 2009;20:752-759. 4. L. H. Rasmussen, M. Lawaetz, L. Bjoern, B. Vennits, A. Blemings and B. Eklof, Randomized Clinical Trial Comparing Endovenous Laser Ablation, Radiofrequency Ablation, Foam Sclerotherapy and Surgical Stripping for Great Saphenous Varicose Veins. British Journal of Surgery Society Ltd., Wiley Online Library, www.bjs.co.uk, March 15, 2011. 5. Proebstle T. et al. Three-year European follow-up of endovenous radiofrequency-powered segmental thermal ablation of the great saphenous vein with or without treatment of calf varicosities. JVS; July2011. ClosureFast is a trademark of a Medtronic company.